In this article, we discuss the importance of documentation for your software's UI/UX and show you how to make your documentation absolutely great. 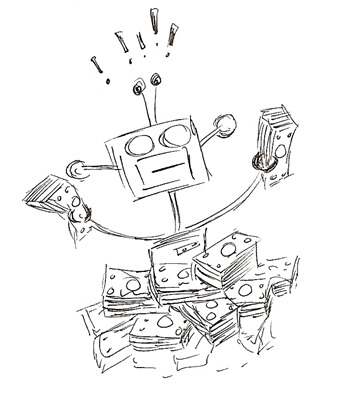 For the last several years, I’ve made more and more of my living via entrepreneurial pursuits. I started my career as a software developer and then worked my way along that career path before leaving full-time employment to do my own thing. These days, I consult, but I also make training content, write books, and offer productized services. When you start to sell things yourself, you come to appreciate the value of marketing. As a techie, this feels a little weird to say, but here we are. When you have something of value to offer, marketing helps you make interested parties aware of your offer. I think you’d like this and find it worth your money if you gave it a shot. GhostDoc features something called “Conceptual Content.” Basically, it allows you to customize and add on to what the engine generates using your code and XML doc comments. This comes in handy in ways limited only by your imagination, but here are some ideas. 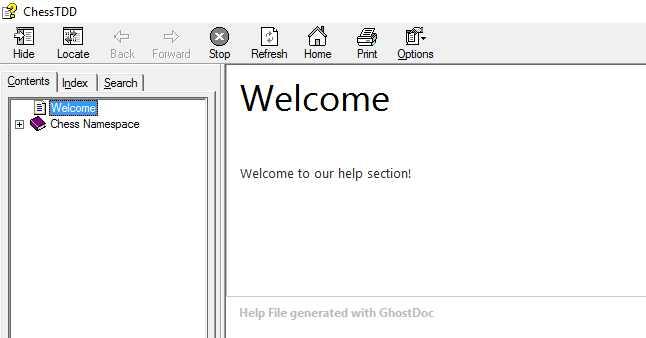 Modifications to the Ghost Doc XML file. The addition of a “content” file describing our custom content. The addition of a “content” folder containing the AML files that make up the actual, custom pages. In essence, this says, “no conceptual content here.” We need to change that. So, replace the empty ContentLayout entry with this (substituting the name of your solution for “ChessTDD” if you want to follow along with your own instead of my ChessTDD code). For the ID, I simply generated a GUI using this site. This ID simply needs to be unique and to match the next file that we’ll create. Next up, create the folder you told ContentLayout about called, “Content.” Then add the file Welcome.aml to that folder, with the following text.